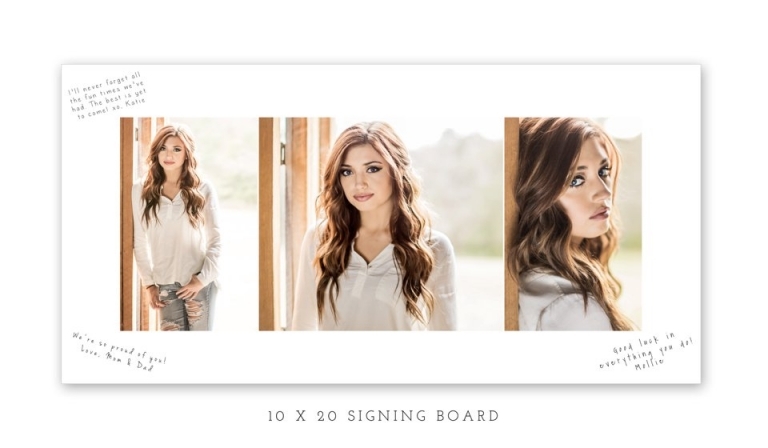 I’m excited to be offering these beautiful Senior Signing Boards for your graduation celebrations. These stunning deep matte prints come mounted so that they can be beautifully displayed on an easel for your party and then hung right on your dorm room wall. What a fun way to enjoy your senior portraits while also remembering all the sweet friends and family at home who love and support you and all your accomplishments!